On November 8, 2016, residents of Florida voted in favor of Amendment 2, commonly referred to as the medical marijuana amendment. The legislation went into effect on January 3, 2017, however, rules and enforcement of the new legislation are still murky. It is understood that this amendment opens the door for cannabis use for various medical conditions, although the exact type of cannabis and allowable methods of intake are still being determined. As the Florida Legislature is working with the Department of Health to provide the public with solid details, its is important to remember that you should never assume anything. Ultimately, it is always in your best interest to contact a criminal defense lawyer if you are uncertain about the legality of your medical marijuana use. What Does Amendment 2 Cover? Prior to this new legislation, the state of Florida had allowed the use of non-smoked and low-tetrahydrocannabinol (THC) cannabis only in certain cases where an individual suffered from a very severe condition such as epilepsy or cancer. However, under this new legislation individuals who suffer from conditions like Crohn’s disease, Parkinson’s, PTSD, glaucoma, ALS, and other debilitating diseases are now able to use variations of cannabis. Amendment 2 is specific in that it only permits the use of “low-THC” marijuana obtained through a registered cannabis dispensary. Only individuals with a valid, state-issued medical marijuana card are eligible to purchase marijuana from a dispensary. 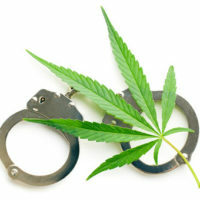 This means that marijuana with higher levels of THC and marijuana obtained through a drug dealer are still considered illegal. As of January 18, 2017, the first proposed legislation designed to regulate the medical marijuana industry was announced. Supporters of medical marijuana believe the proposals to be overly restrictive, and an obvious attempt at debilitating the industry by making it difficult for businesses to enter the new industry. If these proposals are enacted, the industry will be immediately behind the “eight-ball” as there will be a limited amount of suppliers. The only way to obtain a medical marijuana card is through the prescription of a licensed health practitioner. The individual must also be 18 years of age or have parental consent and must have been under the care of their physician for at least 90 days prior to being issued a medical marijuana card. Additionally, only medical professionals who meet the training criteria established by the Florida Department of health are eligible to prescribe cannabis for medical use. Under most circumstances, health insurance providers are under no obligation to provide coverage for a medical marijuana prescription. This means that anyone who would like to use medical marijuana will have to pay out-of-pocket. There is still much to be seen in the development of Amendment 2 across the state of Florida; however, it is critical that you understand the parameters that must be adhered to should you use medical marijuana At the Baez Law Firm, our team of lawyers has a thorough understanding of Florida and Federal drug laws. Our knowledge can ensure that you are acting within the law at all times when using medical marijuana in order to assure you do not accidentally put yourself in a compromising position. If you have questions or concerns about the legality of your situation, do not delay; contact the Baez Law Firm today at 800-588-BAEZ.